Looking for the best things to do in Seoul can be overwhelming. Seoul is huge, and it’s a very vibrant city. So we’ve put together this list of the top things to do so you can find exactly what you’re looking for as well as discover new things to do. Use the menu to discover your experience. NBC Today Show, BBC, Vice and over 10 million travelers just like you have used our insider knowledge to explore Korea. 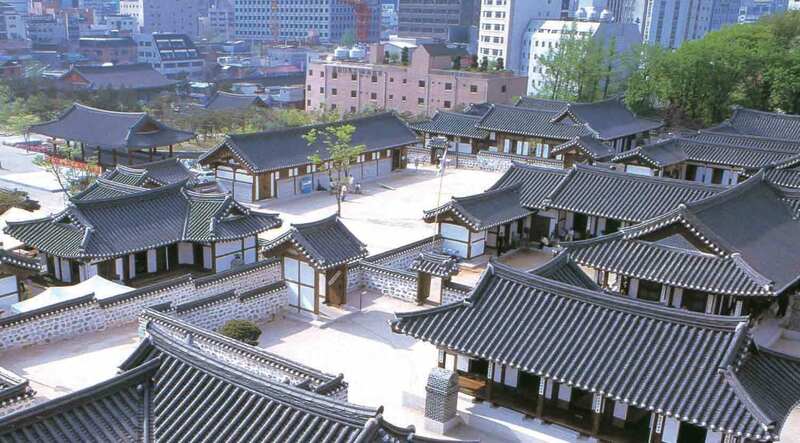 Built over 600 years ago, the Royal Palaces in Seoul were the homes to the kings and queens of the Joseon Royalty, Korea’s last royal dynasty. Some are grand and majestic, others are secluded and private. Two are national treasures registered as UNESCO Cultural Heritages for the perfectly harmoniously architectural integration into the landscape as well as preservation of ancient Confucian culture throughout the centuries. 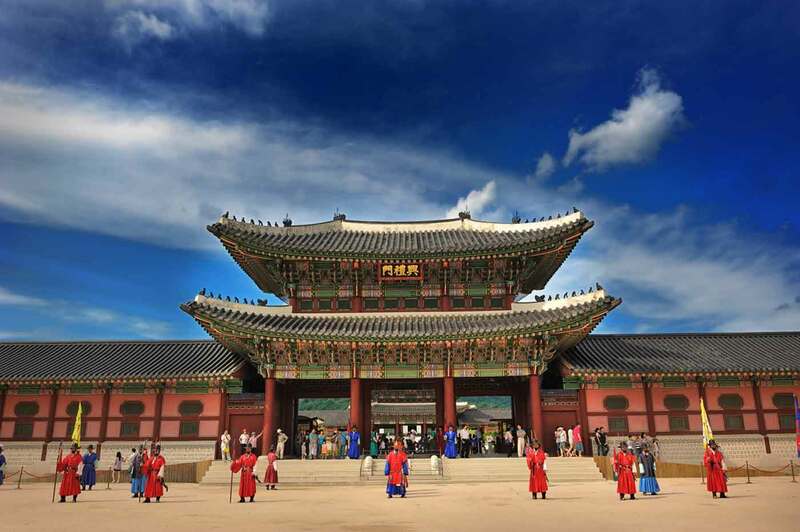 Buddhism had a huge influence on the Korean peninsula, and even in hyper-modern Seoul, you can still visit centuries-old Buddhist Temples, with beautiful Buddhist gardens, temple art and even delicious organic and vegan temple food. You can even stay overnight at many of the Buddhist temples in Seoul and immerse yourself with the Temple Stay Program. 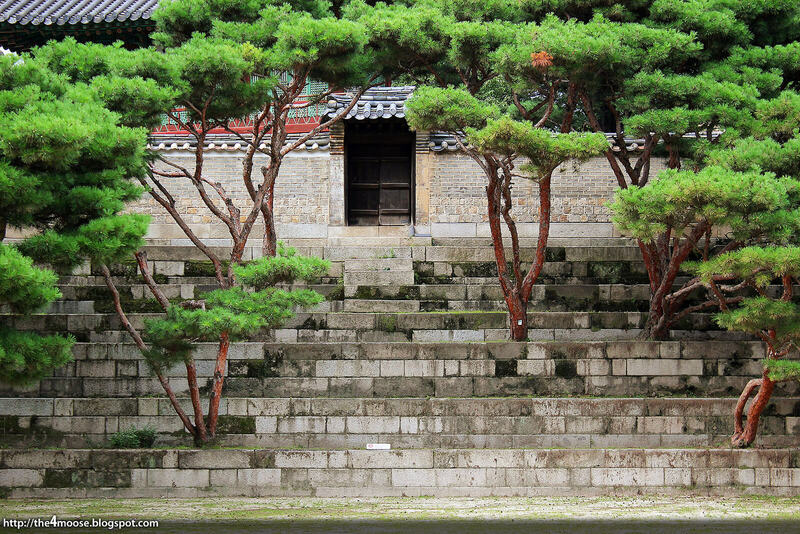 is the most beautiful Buddhist temple in Seoul with its huge colorful garden. Come here during Buddha’s Birthday and the lantern festival. 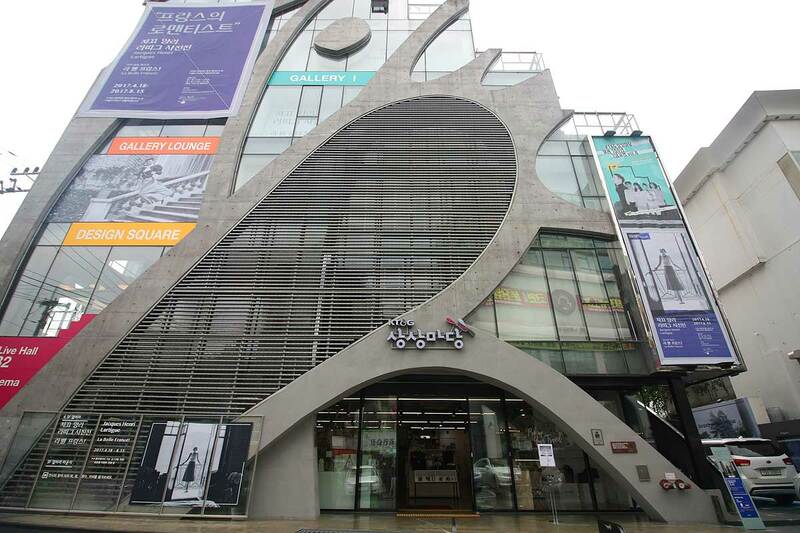 , located next to the COEX Mall, has a large Buddha statue that oversees hypermodern Seoul. is spacious, and has clean, fresh air as its located in the foothills of Bukhansan Mountain, a National Park in Seoul. a converted high-class restaurant that was donated, is one of the most modern and beautiful of buddhist temples in Seoul. is a buddhist nunnery with easy access within the city. Within ultra-modern Seoul, you can still find traditional neighborhoods that preserve what life was like in Korea centuries ago. The architecture and neighborhoods are unique and beautiful. They’re also perfect places to stay. is a neighborhood filled with beautifully preserved hanok (traditional Korean architecture), perfect for pictures. has hanok as well, but the tiny streets are more fun to navigate with trendy cafes and modern guesthouses lining the sides. this is a village thats been recreated to let you experience traditional Korean culture and daily life from centuries ago. is a quiet and quaint area between two royal palaces where aristocrats lived. It’s classy and has cool shops with few tourists. 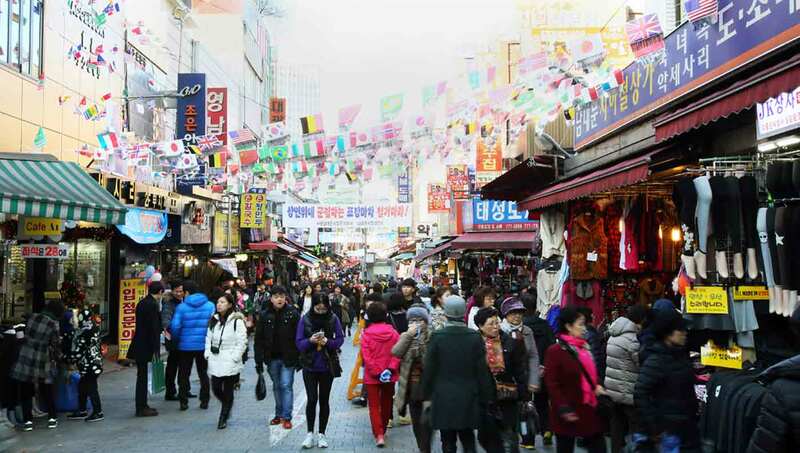 Traditional markets in Seoul are exciting experiences, and some are even hundreds of years old. There’s food markets, antique markets, and everything markets. is the largest market in all of Korea and sells everything under the sun. is the perfect market for foodies looking for authentic Korean food. is for those who want the freshest seafood; they’re literally alive before you eat. is the perfect for Korean BBQ lovers; come to the source. is great for vintage shopping in Korea with plenty of old antiques and second-hand clothes at cheap prices. Of course, there are plenty of museums in Seoul that tell stories about the countries history, shows off its culture and provide enjoyable entertainment. There are many museums to check out, but we’ve curated the best museums in Seoul according to history, culture and art. 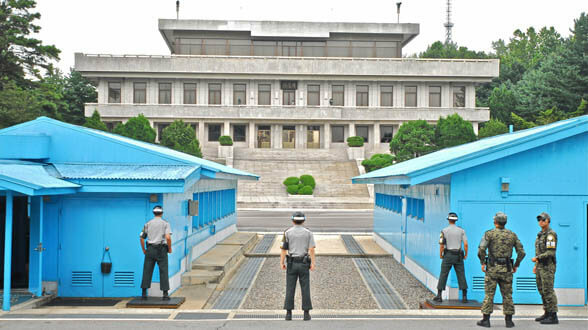 The National Museum of Korea is the most comprehensive history museum that follows the entire history of the Korean peninsula. See hunter-gatherer artifacts, amazing Buddhist art and ancient royal crowns. 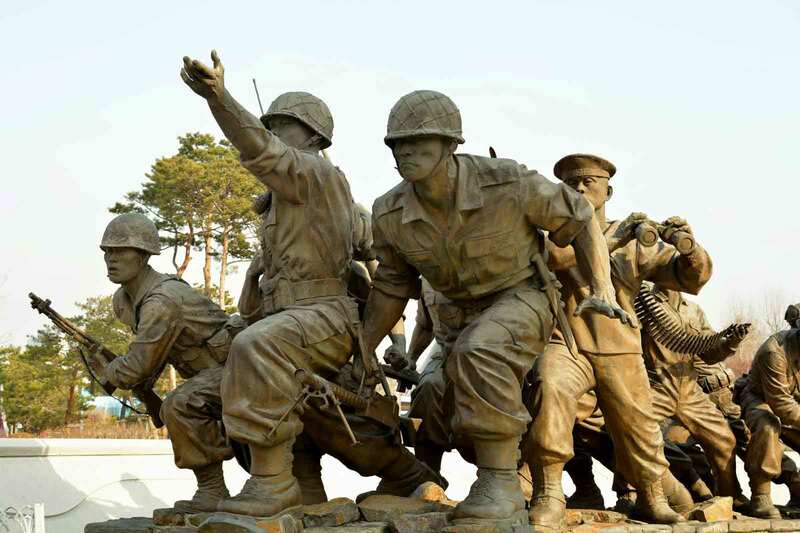 iThe War Memorial of Korea shows how war has been a huge force in shaping South Korea today. It’s a must for history buffs. Free with any entry to Gyeongbokgung Palace, the National Folk Museum of Korea gives a quick and abbreviated historical account of Korea. The main institute for traditional culture in Korea, here you can watch centuries old dances and songs and even take classes to learn yourself. One of Seoul’s largest private collections of traditional and contemporary art, Leeum’s museums are themselves also beautiful works of architecture. The center of Korea’s fashion and design industry, and home to Seoul’s Fashion Week, this neofuturisitic building is one of the most amazing pieces of architecture you’ll see in Seoul. Don’t just watch the art. Be a part of the art! Trick Eye Museum is a fun day where you can be a part of the artwork and take some fun pictures. Sometimes you need a Seoul local to show you all the hidden spots and foods that only locals know about. Some sites in Korea are inaccessible without a local tour guide, too! Here are some of the must-see places in and around Seoul as well as experiences with a personal guide to show you each step of the way. Step inside North Korea and back. Only available through guided tours. Traditional Korean Alcohol Tour – Sample traditional Korean traditional brews of makgeolli (Korean rice white) from local brewmasters at their own breweries. Learn how to make delicious Korean foods that you cam bring back home and make for your friends and family. You’d be wrong if you think watching baseball or going to the movies would be the same in Korea. And you’d be hard pressed to find a place to watch pro gamers or blackbelt taekwondo masters at their craft. These competitions & shows are fun and unique experiences you wish you had back at home. Movies are extremely popular in Korea, and there are unique movie theaters in Seoul. One has one of the largest movie theater screens in the world and another has couches with gourmet meals. 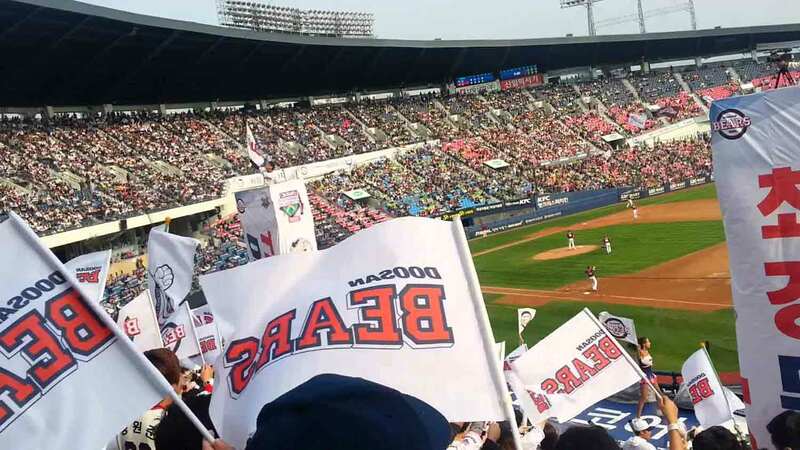 Baseball fans in Korea are extremely passionate, and each and every pitch is exciting with fans singing songs for each players and with cheerleaders. See the three teams in Seoul: Doosan Bears, LG Twins, Nexen Heroes. 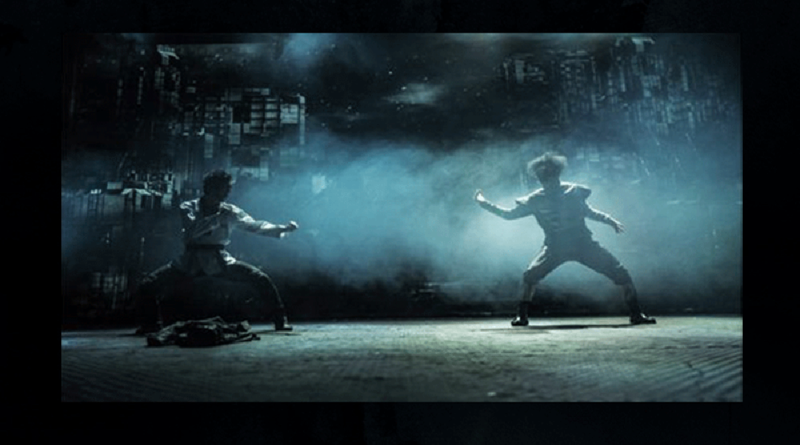 Korea is the birthplace of Taekwondo, a martial arts with highflying kicks. Watch these taekwondo masters break boards with acrobatic kicks. Of course, there many of the activities and attractions are unique to Korea. Here are some of the largest, most cutting-edge and unique things to do in Seoul. Here you’ll find what the latest tech and gadgets from Samsung. It’s the future envisioned by this tech leader. One of the largest churches in the world, this megachurch boasts a 200,000 weekly attendance and a nearly half million congregation. Templestay is a program to stay at buddhist temples and experience the life of a monk, learn about truth and eat delicious temple food. A day of rest, relaxation, health and beauty, Korean Spas are also great entertainment venues to hang out with friends and family. Koreans have a “bang” culture, which translates to “room.” It originated because young people didn’t want to hang out at home where their parents would be. Now it’s evolved to be activity centers to play online games, watch movies, read comic books and be insane karaoke gods with your friends and significant other. 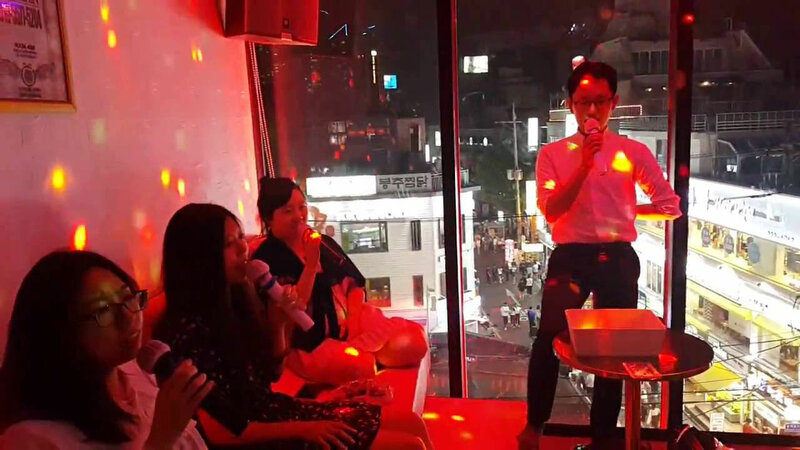 Private karaoke rooms to sing your heart out with friends and family. Leave your embarrassments and judgments at the door. 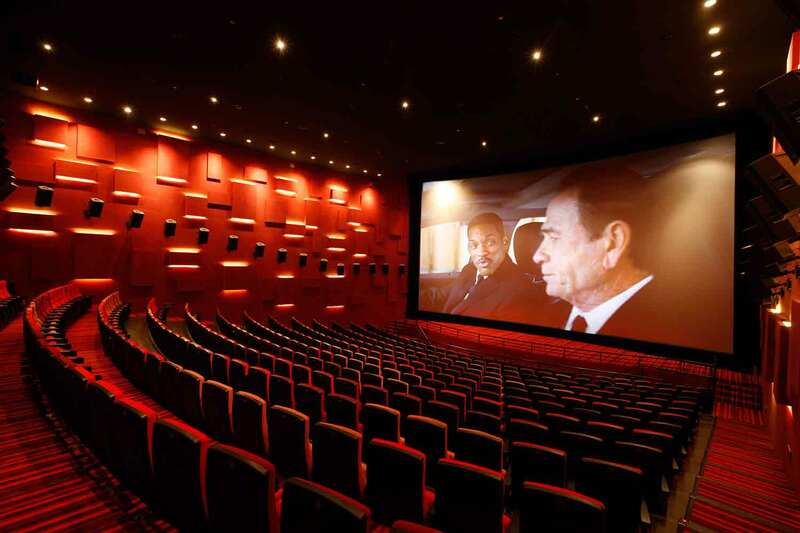 Private theaters with comfortable couches, projection screens and surround sound speakers. All the “bangs” combined in one room: video games, karaoke and movies all in one room. Online gaming hubs with comfortable chairs, big screens, super fast computers, and rock solid internet connections. For that laid back, lazy Sunday afternoon experience reading comic books while munching on snacks. Playstation rooms are filled with mostly soccer obsessed friends that want to play a few games of FIFA for dinner. This room culture has spread its wings to allow people to be a bit more active. 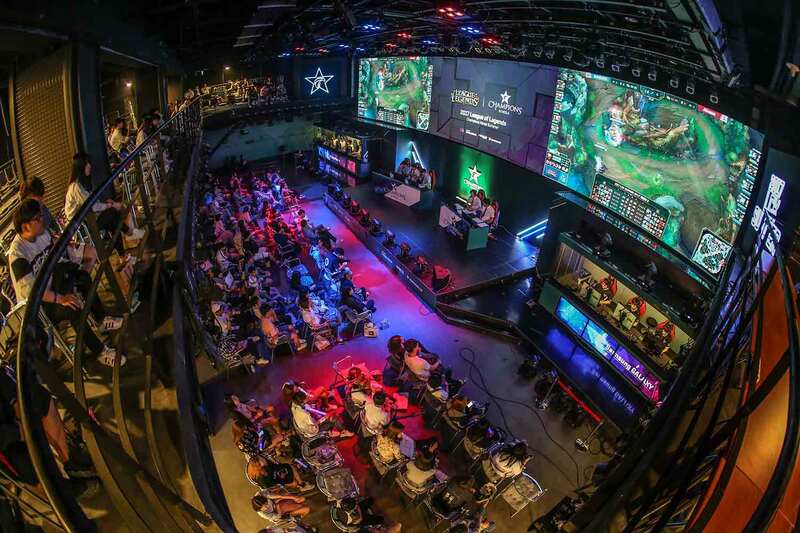 Korea now has a plethora of indoor sports simulation games and other active experiences that are usually for the outdoors. Stay in and have some fun with your loved ones with these indoor sports & games. 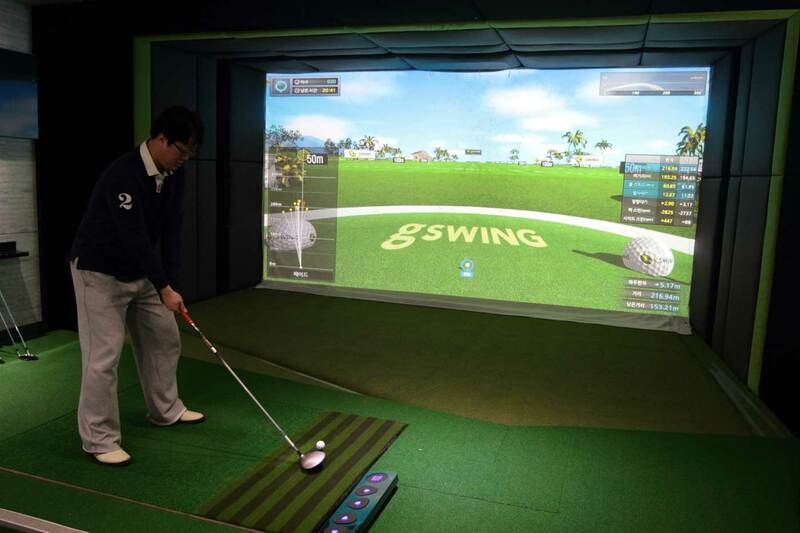 Take the hassle and the high price tag out of going to the golf course, and play golf with an indoor golf simulator. It’s impossible to get a pickup baseball game, and batting cages can get boring. It’s more fun to play a baseball simulator with friends and virtual pitchers. Fishing take a lot of preparation. But if you just want to have some fun catching some fish, try a fishing cafe. Virtual reality is a fully-immersive video game experience where you can jump off buildings and box world champions without breaking any bones. Seoul has the largest indoor ice wall in the world which offers rentals and lessons for an icy challenge that can be had nowhere else in the world. 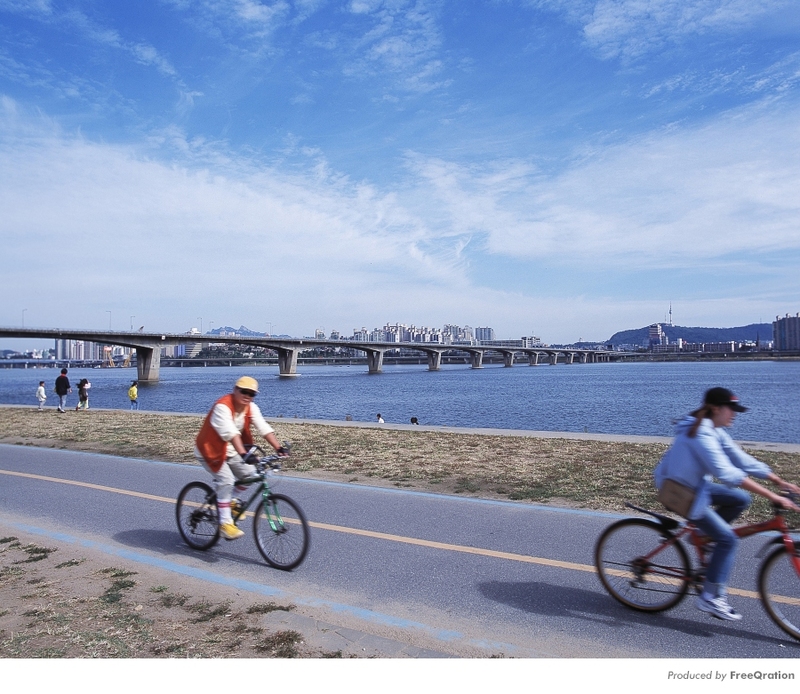 The Han River has plenty of bike rental stations where you can enjoy a breezy ride next to some amazing scenery next to the river. Bukhansan Mountain is a national park immediately accessible in hyper-modern Seoul. There’s plenty of trails for fresh air and hikes ranging from casual to hard work. 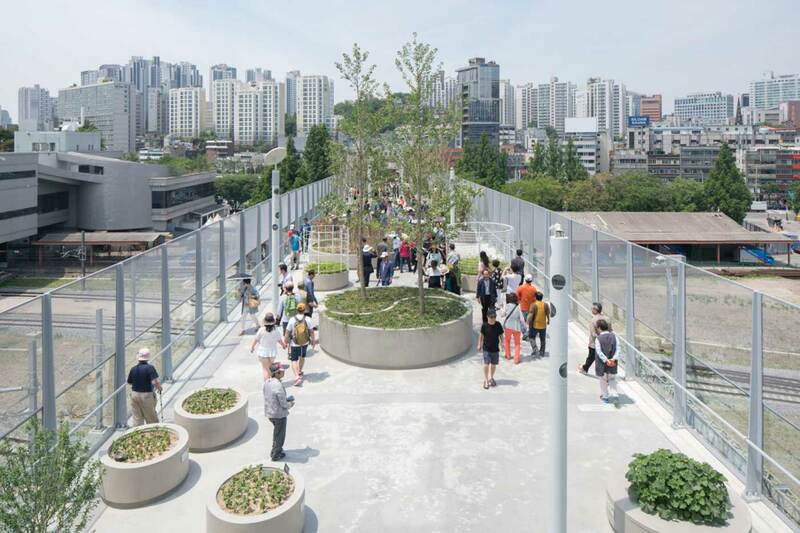 Although Seoul may be a sprawling metropolis, there are plenty of places you can find relaxing nature within this urban jungle without being athlete of the century. There are reclaimed streams and walkways where you can grab a coffee and enjoy the day with friends. Next to Insadong, you’ll find one of the most iconic parks of Seoul. Here you’ll find old men playing boardgames and chat politics. Here you can rent bikes, picnic out on the grass, find kids playing in the water fountain and even enjoy movies and concerts. A ecological refuge in the middle of the city, here you can take a nice stroll in nature right in the middle of the city. One of the prettiest urban space in Seoul, grab a coffee or beer and chat it up with a friend in front of a gentle stream with night lights and buskers. The high line pedestrian walkway with greenery, restaurants and cafes along the way for a leisurely stroll. Located within Seoul or within an hour of Seoul are several amusement parks, waterparks, ski resorts to enjoy a full-day of rides, shows and attractions. All these waterparks and amusement parks in Seoul or around Seoul are easily accessible, some even with free shuttle buses. The largest indoor amusement park in the world has rides, games and shows for all types of weather. Seoul Land is fun amusement park in Seoul that’s also attached to a zoo and large botanical garden for a full day of outdoor fun. The largest and most popular amusement park in Korea, Everland & Caribbean Bay is a Waterpark and Amusement Park combination with free shuttle buses in Seoul. Vivaldi Park is a multi-purpose resort that doubles as a ski resort in the winter and a huge waterpark in the summer. Seoul has recently become one of the hottest names in the international fashion scene. There’s a lot of buzz without much information on where to get the goods. Luckily, we’re you’re local Seoul guides. 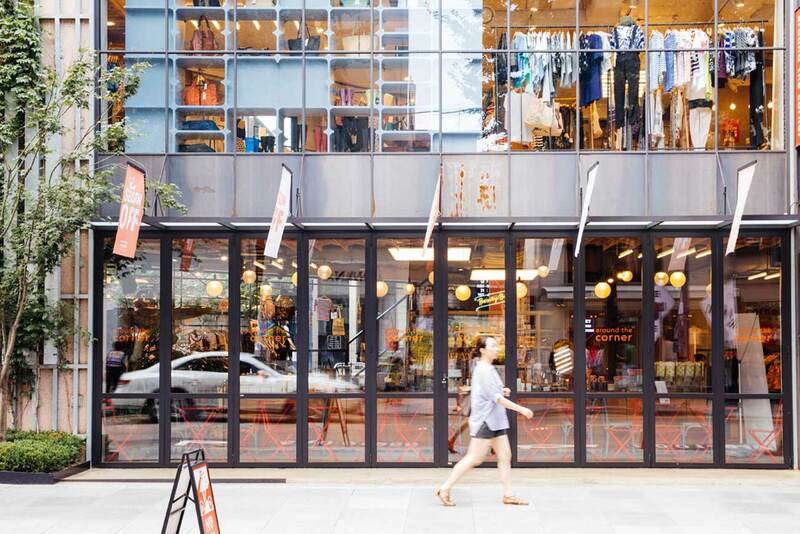 Here’s some of the best places to shop in Seoul for fashion. Hongdae is the center of youth fashion in Seoul with plenty of boutique shops. 87mm is one of the most hottest names in the fashion industry, located in the heart of Hongdae. For all the high-end luxury brands, Lotte Department store is the most famous place to shop in Seoul. They even have a floor dedicated to duty-free shopping. Itaewon is known for its cheap custom suits, the most famous of all is Hamilton Shirts, which sell custom-fitted suits and shirts. Edae Shopping street, home to Ehwa Women’s University, has anything a young college girl would want at bargain prices. Where nearly all the fashion brands host their flagship stores, this shopping area is a must for the best shopping in Seoul. Shopping in Seoul is not just about fashion. There’s tons of unique product design shops curated with local Korean designers as well as one-stop-shops for souvenirs. You can also stop by character shops for messaging apps (i.e. KakaoTalk, Line) and even some streets dedicated to cheap prescription glasses. Up-and-coming designers are featured at Sangsang Madang, a product design shop with unique wares that make perfect souvenirs. Take your next Facebook profile picture with the characters of Korea’s #1 messaging app. 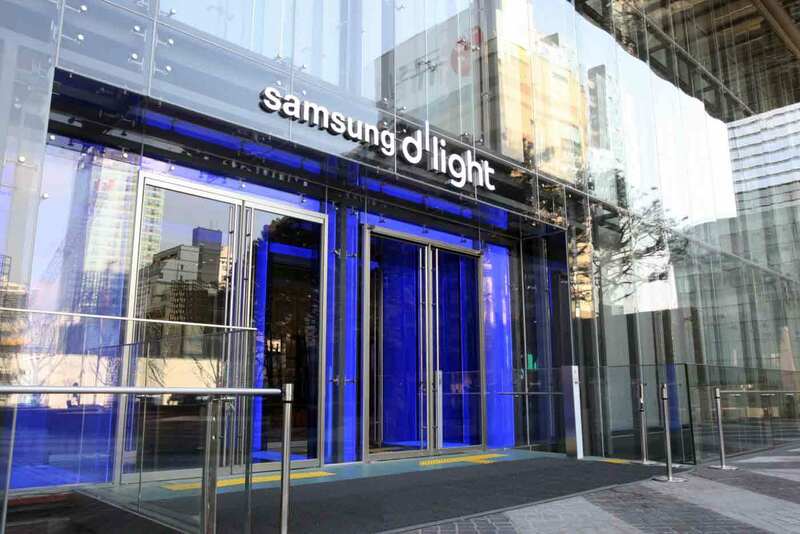 Flagship store locations in Gangnam and Hongdae. Line, another popular messaging app, has large flagship stores located throughout Seoul to buy souvenirs and to take fun pictures. Locations in Garosugil, Myeongdong and Itaewon. A street in Namdaemun dedicated to ultra cheap prescription glasses where you can shop around for the best price. Of course, if you’re going to be in Korea, you should indulge in some awesome Korean food. There’s a wide range of flavors and types of food for every palate. And since Seoul represents all of Korea, here’s some of the best restaurants in Seoul. 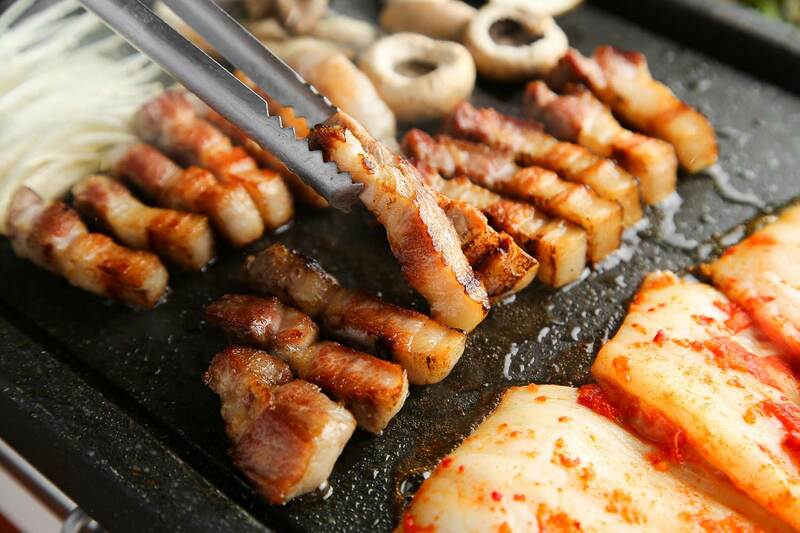 Hanam Dwejijip – This chain restaurant is widely considered the best samgyeopsal restaurant in Seoul and even Korea. Their pork belly is charred for flavor before it comes out on your table where it finishes cooking. A classy Korean BBQ restaurant that serves premium Korean beef (hanu) with an onsite butcher for ultimate freshness. Originally from the bibimbap capital of Korea, Jeonju, Gogun opened up branches in Seoul, one right in the middle of Myeongdong. Hyeondae Jeongyuk Sikdang – Simple, everyday dishes like kimchijjigae are hard to make extra special. The kimchi jjigae at Hyeondae Jeongyuk Sikdang is a special exception. This old school restaurant boasts ultra-clean and refreshing cold naengmyeon noodles in its original form. This is probably the most famous restaurant in all of Seoul, and all they serve is a simple bowl of soup. Hard-to-find Korean homestyle cooking in a beautiful venue, paired with drinks and cocktails is what makes Parc one of the most talked about restaurants in Seoul. Without the disclaimer that it’s “good for a buffet,” this popular Korean buffet chain has all-you-can-eat healthy Korean food at an affordable price. Check off another of your checklist of famous Korean restaurant to eat at this famous ginseng chicken soup restaurant. Eat a full-course meal at a high-class Buddhist restaurant that balances flavors and promotes Buddhist principles with delicious food. Want to indulge in Korean street food, walk the streets of Myeongdong to see all the classics as well as all the newest trends. Nearly every social gathering in Korea will end up in a coffee shop at some point. And there’s so much cafe competition that Korea’s cafe game is top notch. Many of the cafes in Seoul have beautifully designed interiors with the aromatic smell of coffee beans roasting filling the air. Here’s our favorites in Seoul. The cafe in Hongdae is a local’s favorite with deliciously roasted drip coffee, 5-star service and a breakfast buffet that’ll rival any hotels. Check out art works at this hidden gallery cafe in the upscale Cheongdam district while sipping on lattes, or even having a light meal. The ultimate brunch cafe for 11AM meet ups with friends over good food and coffee in a beautifully designed brunch cafe in the Itaerwon area. Part cafe, part bar, part co-working space, part showroom, Hotel Soosunhwa is an ultra cool cafe tucked away in industrial Seoul. This famous cafe in Hongdae is actually a furniture museum with beautiful chairs, drawers and tables on display. Come here if you like design. This famous flower cafe in Yeonnamdong, (next to Hongdae) brings tons of green to the urban jungle for you to enjoy. These free-trade coffee crusaders have become famous for their drinks with both complex and subtle flavors. For coffee snobs that loved brewed coffee, this cafe in Hongdae is owned by a well-respected barista champion. Daeo Bookstore, the oldest used books store in Seoul, has been turned into a cafe where you can enjoy the traditional architecture and the traditional feel. 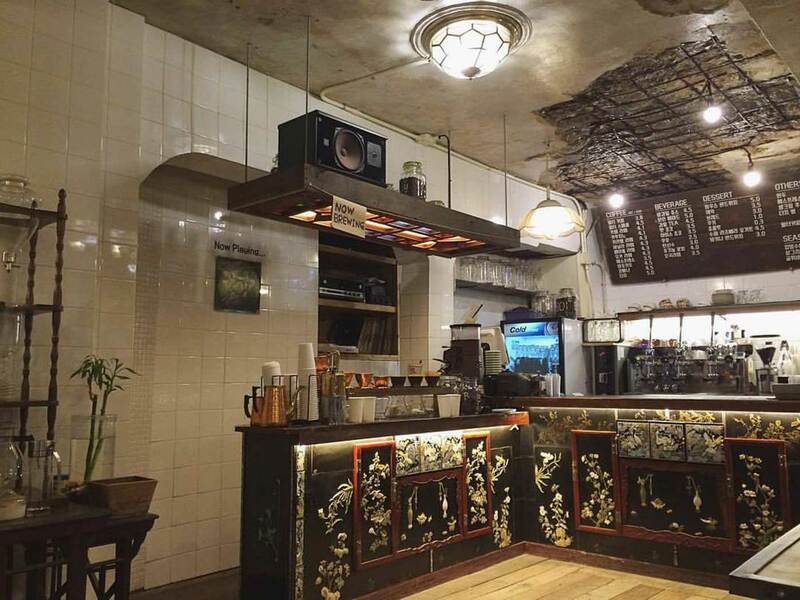 Modeled after a traditional Korean pharmacy with beautiful mother-of-pearl furniture pieces, this famous cafe is hidden away in industrial Seoul. Before coffee made it over to Korea, tea houses were the place where business meetings and dates alike took place. They’re harder to find, but if you head over to the traditional neighborhood, Insadong, you’ll find plenty. This impeccably designed tea house is modern, well-lit, and has strong teas from around the world. It’s actually a tea museum where you can also purchase some teas. 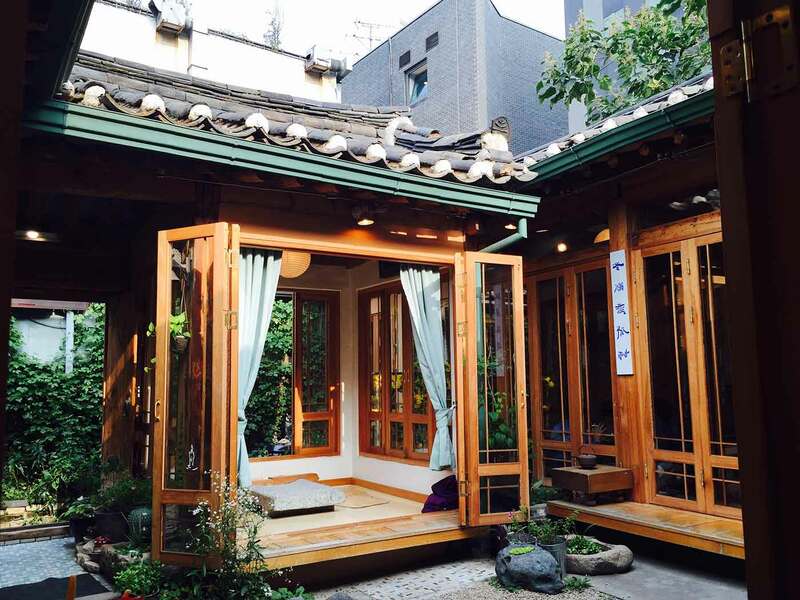 This cozy, 2nd floor tea house has delicious teas, cute cups and traditional Korean desserts. Located in a beautifully renovated hanok (traditional Korean building) with all kinds of traditional teas, snacks and desserts. Pet, theme and activity cafes in Seoul have been around for a while, and now we’re seeing next level stuff. There’s dog and cat cafes of course, but there are also cafes with raccoons, tortoises, sheep and even meerkats. There are also plenty with fun activities as well. 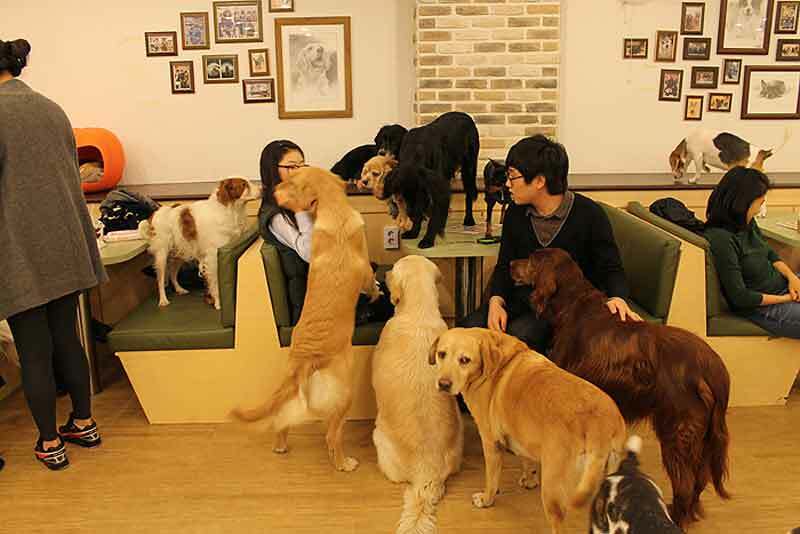 This famous dog cafe in Hongdae probably has the largest collection of dogs, big and small. You can buy snacks to feed the dogs. Boasting over 20 cats with a huge gym for the cats to walk around, this chain cat cafe in Hongdae is one of the biggest in the Seoul. Another famous pet cafe in Seoul is this sheep cafe in Hongdae with two adorable and fluffy sheep. Raccoons are cute and mischievous little things. Mangkun is several raccoons you can play with they try to pilfer whatever is in your pockets. This unique pet cafe in hongdae has sugar gliders and a tortoise that walks around minding its own business. The meerkat cafe in Hongdae has become famous for the meerkat enclosure you can sit in and hang out with their several meercats. They also have an arctic fox and a genet to tripe up on the unique pet theme. Lego is fun for any age, and at this Lego Cafe in Hongdae, you can find build a pirate ship while you sip on a latte. This board game cafe in Hongdae is a great way to have some old school fun. Be careful not to ruin friendships. This retro gaming cafe in Seoul is where you can relive the 80s, 90s with old school video games and consoles. Korea is one of the best kept secrets when it comes to nightlife. For those in the know, know that Korea has legendary clubs that stay packed well past sunrise. Seoul is home to world-class clubs, exclusive after clubs, weekday clubs packed on weekdays, and high-end cocktail lounges. There’s so many to choose from in Seoul, but here are out favorites. Flat out the best club in Seoul. 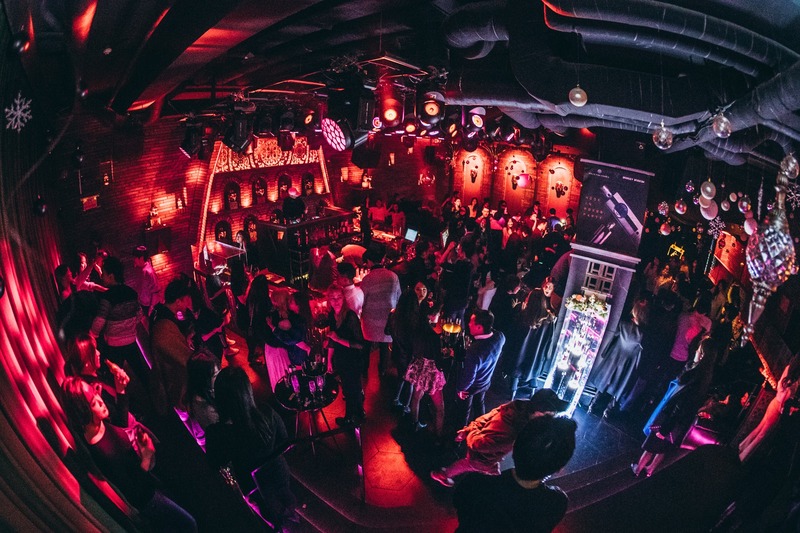 Consistently ranked in the top 10 of the best clubs in the world (via DJMag), this famous club in gangnam has several floors and a huge LED with tons of electric clubbers. Super exclusive after club that you probably a group of local Koreans to get in. Amazing energy that keeps going well past the AM hours. Probably the most famous club in Hongdae, NB is crazy packed even on a Tuesday night. Come here for the best hiphop club to go in Seoul on a weekday. Another one of the best clubs in Hongdae is Club Cocoon, which is always packed on weekdays as well. They play electro, house, trance. Known for its high energy clubbers, this famous house/trance/electro club in Gangnam is best experienced on a weekday nights. This high-class lounge bar has a ultra classy setting in the exclusive Cheongdam area. It’s where the best of Seoul come to hang. Owned by Seungri of Big Bang fame, Monkey Museum is an intimate hiphop lounge with a raucous crowd. Ultra fun with a group of friends. Walk outside at 3AM on a random street in Seoul, and you know Korea’s alcohol game is strong. So there’s plenty of bars to choose from in the land of the inebriated. Korean style singles bars, bars in traditional Korean houses and rooftop bars, traditional Korean tent bars, classy wine bars and even prohibition style speakeasy bars. Here’s our list of best bars in Seoul. A classy bar housed in renovated hanok (traditional Korean house), hidden away in unmarked streets, the Cobbler has expert mixologists that can create any drink you want, literally (they have no menu, so just tell them what you like). 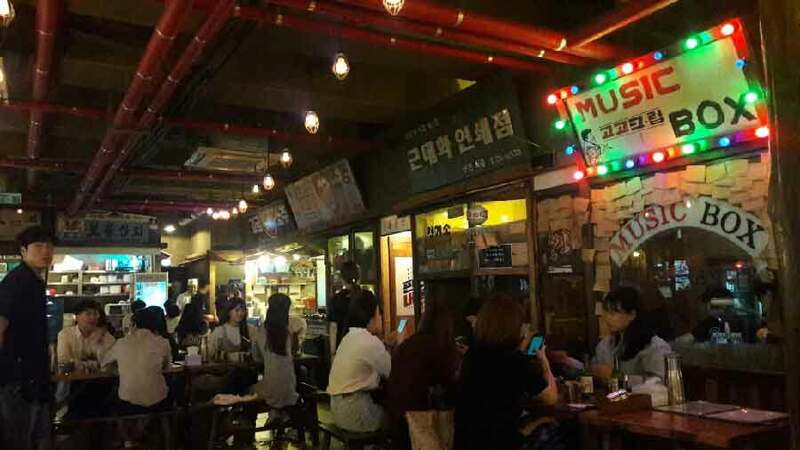 This modern Korean-style bar in Hongdae became famous for its fun (and drunk) college student atmosphere. It’s fun for drinking games and delicious with its food. This modern Korean tent bar became famous as a Korean-style singles bar where groups of boys would link up with groups of girls. They’re also famous for their mega spicy chicken feet. If you’re wondering where to find real pojangmacha (tent bars) in Seoul, you’re not alone; they’re slowly disappearing. But here are a few places you can still find them: Euljiro, Dongdaemun. Rooftop Bar Floating is one of the nicest rooftop bars in Seoul with its view of Namsan Tower. It’s an especially romantic bar to take your date, especially if you’re in Myeongdong. If you’re looking for a classy bar in Gangam where you can get a great view, the rooftop bar at Hotel Cappuccino has a casual atmosphere with a great view. This exclusive wine bar in Seoul is where you should go for over 800 selections of wine. Come here to impress.